Tank Service is an equipment sales company providing a broad range of carbon and stainless steel ISO tank containers, IMO tank containers and UN portable tanks for transportation or storage applications. 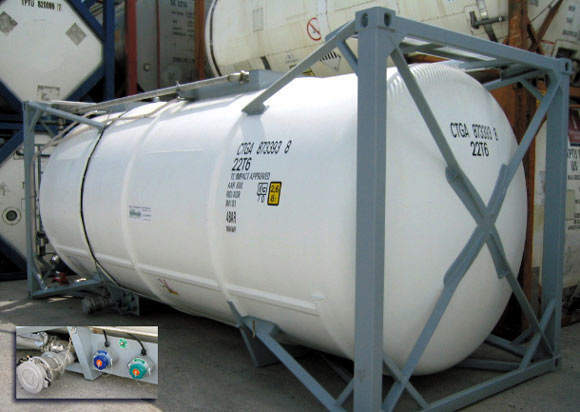 We also supply drop-frame tank chassis for the North American market, gas tanks, cargo tank trailers, LPG propane tanks, IBC intermediate bulk containers, other types of portable tanks and totes, along with related spare parts. 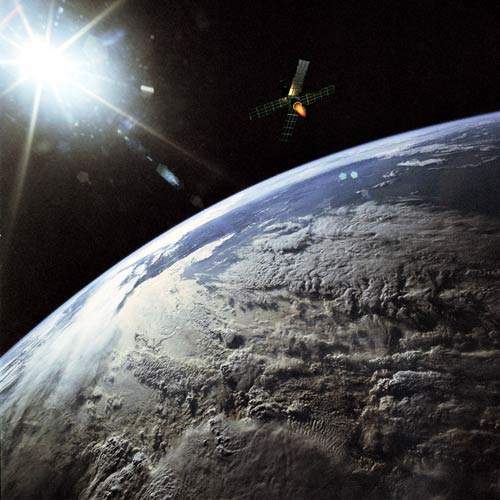 We offer true GPS satellite tracking, internet centralized data collection and fleet management. 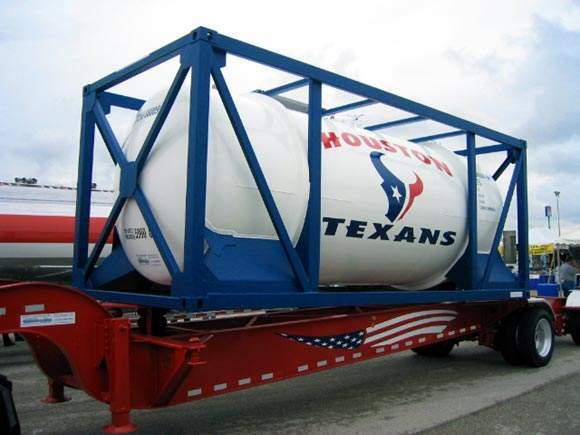 We maintain a large inventory of stock units ready for sale at our Houston-area terminal and can offer custom new-build fabrication for specialty tanks. Our hard working staff provides specialized attention to every project. These highly versatile ISO tanks for bulk liquids vary in capacities from 14,000l (3,700gal) to 25,000l (6,600gal). They can be equipped with insulation, steam heating, electric heating or refrigeration for products that require temperature control, top and/or bottom discharge, protective linings and other modifications. 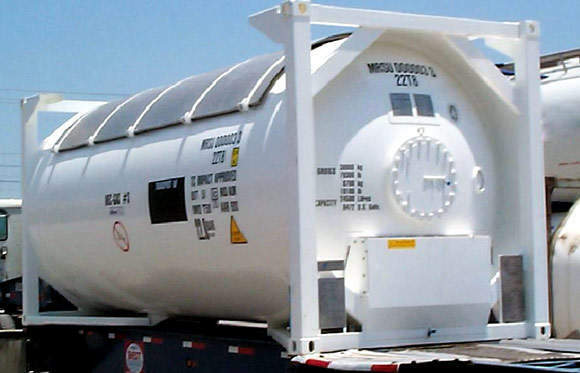 These ISO tanks are easily transported by rail, truck, ship or barge for local, national or worldwide transportation. Products stored or transported by these containers vary from non-hazardous and hazardous chemicals, to food products such as wine, spirits, or edible oils. Tank Service is your source for new-production UN portable tanks with the T50 designation for high-pressure gases such as LPG and anhydrous ammonia. When combined with a drop-frame tank chassis, these tanks are comparable to MC331 cargo tanks but with a higher maximum allowable working pressure (MAWP). A variety of special-purpose tanks or ‘specials’ are offered, such as DOT 51 tanks and lined units. Linings available include fluoropolymers such as PTFE or PFA Teflon®, rubber, epoxy and phenolic linings. 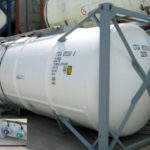 Other specials include tanks with electrical heating or refrigerant cooling systems, and tanks for special cargoes such as AV gas, chlorine, asphalt and hydrogen peroxide. Tank Service sells new and used tank chassis for the safe and legal transport of loaded tank containers. We offer closed tandem axle, spread axle and tri-axle chassis models. 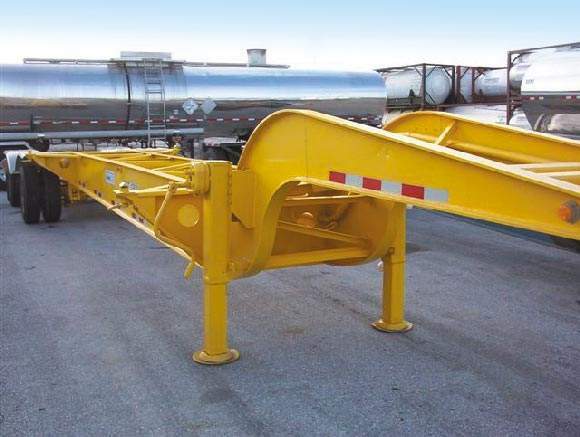 The standard drop-frame design provides a lower center of gravity than conventional trailers and an overall length suitable to legally scale most tanks. Twistlocks provide a secure mounting mechanism for the tanks and eliminate the need for straps or chains. Both new and used chassis can be painted to customer color prior to delivery and will come with current FHWA inspection. Tank Service is excited to announce it is now offering satellite tracking services for asset management offering one solution for tracking, tracing, microtelemetry and security. As a value-added re-seller of Satamatics products, Tank Service can provide true global positioning system (GPS) for your intermodal containers anywhere, anytime through our timed position reporting. This sophisticated technology can determine the exact location of your containers over land, water, or air, and can even deliver alerts, diagnostics, status reports on liquid levels and more! We offer domestic logistics, equipment tracking, status reports, maintenance coordination management, consolidation of multi-vendor invoices and repair / retesting oversight of equipment. 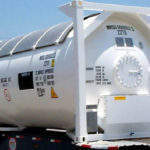 Tank Service is a supplier of portable tanks for bulk liquid transportation and storage requirements. 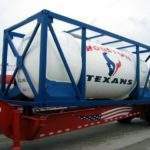 The Texas-based equipment sales company provides a broad range of carbon and stainless steel ISO tank containers. 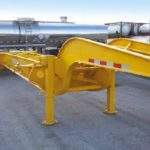 Tank Service is a supplier of portable tanks for bulk liquid transportation and storage requirements. As well as portable tanks, static storage tanks are also offered, in various configurations and with differing capacities. 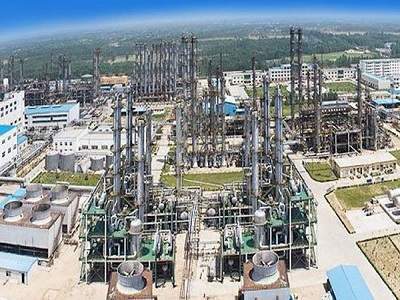 Yuhuang Chemical, a subsidiary of Shandong Yuhuang Chemical, has proposed to construct a world-scale methanol manufacturing complex along the Mississippi River in St. James Parish, Louisiana, with an investment of $1.85bn. 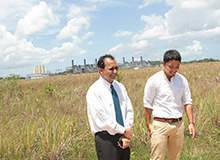 The Natural Gas to Petrochemicals Complex project involves the construction of a petrochemicals complex at the Union Industrial Estate in La Brea, Trinidad and Tobago, to produce methanol and dimethyl ether (DME) using natural gas as feedstock.